Are you looking for a bright, spacious apartment to call home in the Hamilton area? We’ve got exactly what you’re looking for! 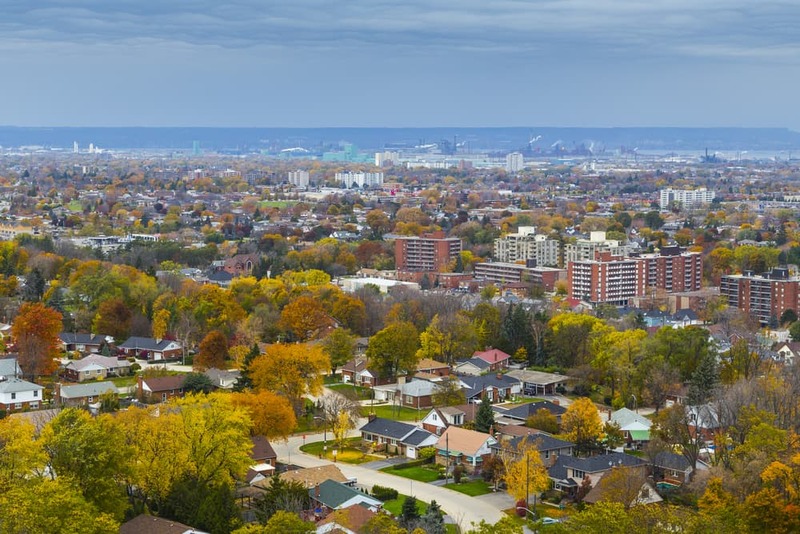 Hamilton’s Halstead Gardens is located in a beautiful neighbourhood just minutes away from Stoney Creek. This community comprises of one high-rise tower and three townhouse communities perched right in the heart of it all. Here are just a few of the reasons why you should book a tour today! Whether you’re single, a couple, or have a family – we have the perfect floorplan for you. Halstead Gardens features spacious one- and two-bedroom apartments and three-bedroom townhomes. So whatever lifestyle and size you need, we have the perfect match for you and your loved ones. Plenty of space for entertaining in the summer, and hosting dinner parties in the winter! Your pet will love living at Halstead Gardens. With large grassy areas including a fenced in dog run located right outside the front door, your pet will have plenty of space to roam and run outdoors. The neighbourhood is also ideal for pet owners since there are dozens of picturesque parks and even some waterfalls in the surrounding area that you and your pet can explore together. If you’re looking to find a home that’s close to everything, Halstead Gardens is the ideal choice. It’s close to a whole range of amenities and offers the convenience of city living with the comforts of a quiet neighbourhood. Within minutes from your new apartment, you’ll find exceptional schools, Eastgate Square, fantastic pubs and restaurants, a number of banks and pharmacies, popular Recreation Centers, the King’s Forest Golf Course, and four parks and waterfalls at the Felker’s Falls and infamous Devil’s Punchbowl Conservation Area. Halstead Gardens puts you right in the center of two great locations – Hamilton’s downtown core and Stoney Creek. Plus, this community is within close proximity to major bus routes, the QEW, Red Hill Valley Pkwy, Lincoln Alexander Pkwy, and also Centennial Pkwy. Getting around town or commuting to work will be a breeze. Only 70 km to Toronto, you can get quiet city living lifestyle without the hassle! It’s nice to know that you’re living in a building with proffesionals who care. Halstead Gardens property is professionally managed which means you’ll move into a newly renovated space that has all the features of new builds with exceptional staff who will make you feel right at home. You’ll find convenient services right on site, including on-site staff, laundry facilities, 24-hour emergency service, secure entrances, parking, a fenced-in dog run, and even a modern playground. Apartment living doesn’t get much better than this! Residents here get to enjoy stunning views from their private balcony, in addition to their modern kitchen with energy efficient appliances. Some units even include a dishwasher, washer and dryer. It’s safe to say that Halstead Gardens is not your average apartment! Step into your new Hamilton home today. Contact us at CLV to take a tour of our available apartments at Halstead Gardens! We’ll show you first-hand what this building and neighbourhood has to offer its residents.